Editor, literary historian, comparatist, critic, translator, teacher, author of works on history and religion. He is the recipient of the Tom Stoppard Prize. 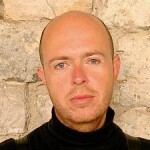 He was born in Písek on 30 May 1968. After secondary school he studied Russian and Latin at Charles University’s Faculty of Arts in Prague. He became a practising Catholic in 1987 and attended theological and philosophical seminars held secretly in people’s apartments. 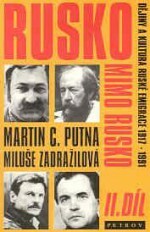 After the Velvet Revolution (Putna was one of the leading activists at Charles University’s Faculty of Arts) he taught old Russian literature and studied theology. He is a professor of cultural and social anthropology. From 2008 to 2011 he was the director of the Václav Havel Library. 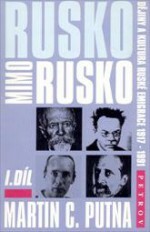 He made his debut with the two-part work, Rusko mimo Rusko (Russia Outside Russia, Petrov, 1993, 1994), which examined three waves of Russian emigration: in particular the writers who fled between 1917 and 1945, as well as artists, composers and politicians. He completed the second work in 1991. 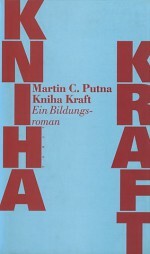 There then followed the essays My poslední křesťané (We Last Christians, Hermann, 1994) and the autobiographical Kniha Kraft (The Book of Kraft, Torst, 1996), where the author alternated between essays and diary entries. Putna published his feuilletons, particularly from newspapers, in the collection Chvály (Accolades, Petrov, 2001). 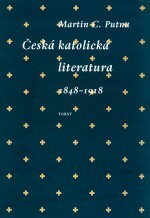 One of Putna’s most important earlier works was an examination of the history of Catholicism within Czech culture – Česká katolická literatura v evropském kontextu 1848–1918 (Czech Catholic Literature in a European Context 1848-1918, Torst, 1998). The second part reached 1945 and was published by Torst in 2010. 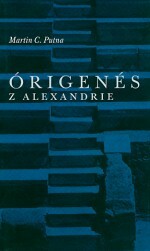 There then followed Órigenés z Alexandrie with the subtitle Kapitola z dějin vztahů mezi antikou a křesťanstvím, nebo též Pokus o pohled do tváře (Origen of Alexandria: Chapters from the History of the Relationship Between Antiquity and Christianity, or also An Attempt to Look at the Face, Torst, 2001) and the monograph, Jaroslav Durych (Torst, 2003). 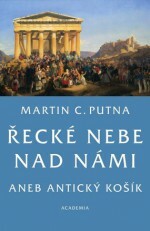 Putna returned to antiquity with the collection Řecké nebe nad námi, aneb Antický košík: studie k druhému životu antiky v evropské kultuře (Greek Heaven Above Us or An Ancient Basket: Studies on the Second Life of Antiquity in European Culture, Academia, 2006) on the influence of Greece, with references to antiquity in 19th- and 20th-century art. Another central area of Putna’s work is Václav Havel. 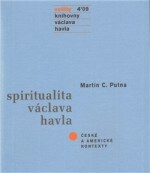 The first publication was called Spiritualita Václava Havla: české a americké kontexty (The Spirituality of Václav Havel: Czech and American Contexts, Knihovna Václava Havla, 2009). He then edited two books by different authors about Havel – Dopisy od Olgy Ivana Havla (Letters from Olga by Ivan Havel) and Stříbrný vítr – výbor z tvorby Šestatřicátníků (Silver Wind – A Collection of Works by the Generation of 1936). And then came Václav Havel: duchovní portrét v rámu české kultury 20. století (Václav Havel: A Spiritual Portrait Within the Context of 20th Century Czech Culture, Knihovna Václava Havla, 2011), for which Putna was awarded the Tom Stoppard Prize. “This is not a typical biography with factual descriptions of events. 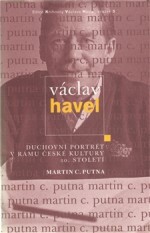 Putna offers the reader his sophisticated interpretation of the cultural background from which Václav Havel emerged and inhabited. 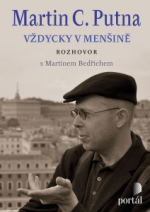 He writes knowledgeably as someone with first-hand experience, though at the same time he has a historian’s overview of what he is describing,” wrote the philosopher Erazim Kohák about the book, adding that it was probably the key work on the legacy of Václav Havel. 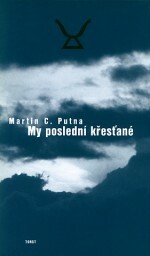 Putna is also the author of the essays Homosexualita v dějinách české kultury (Homosexuality in the History of Czech Culture, Academia, 2011) and the study, Křesťanství a homosexualita: pokusy o integraci (Christianity and Homosexuality: Attempts at Integration, Torst, 2012). In addition to these areas, Putna also focuses on older Czech literature. 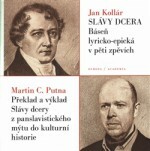 He wrote a commentary on Kollar’s most famous poems, Slávy dcera (Glory Daughter, Academia, 2014), and a study on the motif of death in Baroque music, O smrti i vesele (On Death as well as Mirth, Malvern, 2013) – Putna is also a singer and even has a CD out. He discusses his works and opinions in an interview with Václav Bedřich, Vždycky v menšině (Always in the Minority, Portál, 2013).